Being a youth sports coach is a huge responsibility. Most coaches would agree. But this secondary school coach disagrees. Coach Rao is teaching Slalom Skating to a diverse age group of kids aged between 5-15 years. “It is not a responsibility, it’s not a job either; coaching youth sports cannot be categorized as an obligation of any sort. Coaching youth sports is a calling, a passion”, says Rao. It may sound a little dramatic but you can see it in action during Coach Rao’s practice sessions. He personalizes attention for each kid, he even personalizes training for each kid because all kids may not necessarily pick up at the same pace. While working on game skills, Coach Rao also works on each child’s emotional and mental bearing. He handles each child individually while taking care of the entire group as a team. This is an exceptional skill, and only a dedicated, passionate coach can do it. “Coach Rao is like a third parent to my son”, says Sith’s mom. Sith has been training with Coach Rao since he was 5 years old. Coach Rao has been handling toddler tantrums, mood swings, growing phases and everything parents handle in a child. Sith is now 14. Coach Rao has practically groomed and nurtured Sith to become the athlete Sith currently is, and the athlete he is in becoming. Sith has participated and won in several national and international Slalom Skating competitions and has won several medals for his excellence in the sport. Coach Rao strongly feels that every word and every action of adults has a very strong impact on the child’s mind. He advises parents on how to put up a model behavior in front of the child. He also consults parents on individual problems or concerns their children might be facing. This also strengthens the coach-parent relationship, which is the key to the success of a youth program. And the best part is, Coach Rao makes his coaching fun and interesting for the kids. He jokes, plays and laughs with the kids. Kids love his classes. Most of them never want to miss a class, even if it’s an exam or the kid is unwell. 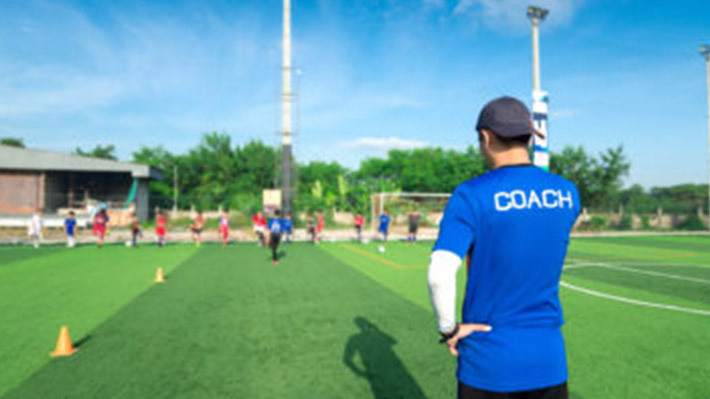 While training little kids for serious sports indeed is a huge task, but looking at the way this coach conducts it, looks like passion can actually change the way one does things, like turning youth sports coaching into a breeze.